There are so many of them that it’s pretty hard to make up your mind. It all boils down to LCD vs. LED although this simple fact is easy to overlook. You can go ahead and blame it all on marketing but that’s one thing that just can’t be black and white. Instead of keeping it simple, manufacturers are busy making up catchy names. Had enough with LCD? Be our guest, try Super LCD. There’s even Super Clear LCD for the sake of being different. Same with AMOLED. There’s the garden variety. But there’s also Clear Black and Super AMOLED. Anyway, with so many screens around even we got mixed up. And instead of writing down “We’ll never again mistake regular LCD for Super LCD” three thousand times, we got assigned to do this article. Yes sir. Coming up, boss. It’s about LCD and AMOLED, about Super AMOLED and SUPER LCD. It’s about the Retina display, which technically is a type of LCD. This is not a story going back to monochrome displays and the dawn of STN and CSTN screens. That would’ve made an even bigger mess. Instead, we’re focusing on present day touchscreen and the varieties it comes in. We have each technology represented and it’s quite a bunch of highly popular and fairly recent phones being judged by the quality of their screen. 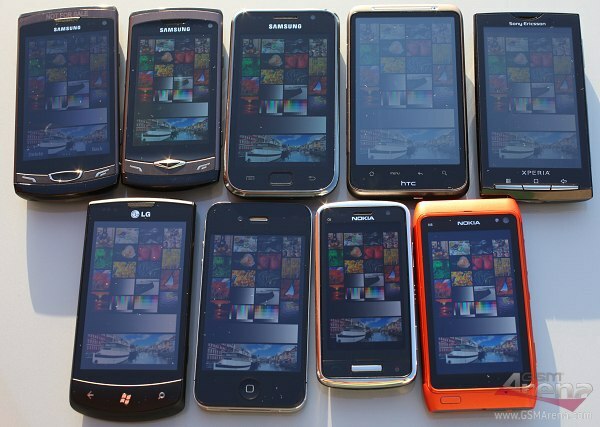 From the good old LCD to the ClearBlack AMOLED by Nokia – they are all here, with all their strengths and weaknesses. And here are the contenders, along with the display technology they stand for. In the LCD corner, the HTC Desire HD and LG Optimus 7 are next to the Sony Ericsson XPERIA X10. The Samsung S8530 Wave II is on the enhanced LCD team – technically, it’s Super Clear LCD, the brand name Samsung use to market their own SLCD-based screens. 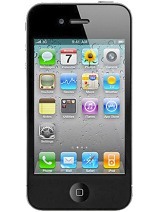 The Retina display is not just another LCD screen either – like the Apple iPhone 4 is not just another phone. The Nokia N8 is running for AMOLED, while the C6-01 has Nokia’s ClearBlack technology behind it. Finally, we have a couple of Super AMOLED screens – on the Samsung I9000 Galaxy S and Samsung S8500 Wave. An elite club it is and that goes to show how important screens are. Manufacturers can’t go on for ever offering more and more features, so things like screen quality are becoming a key selling point.